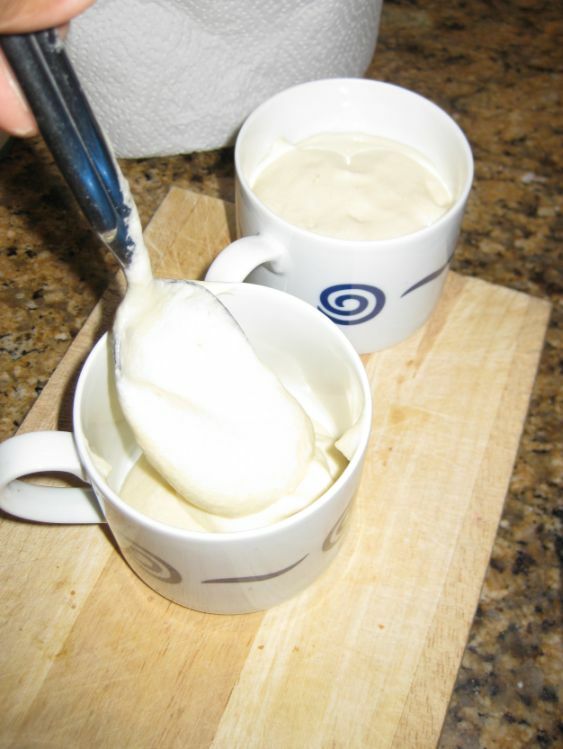 The coffee semifreddo is made with a base of egg yolks and sugar then beaten until light-colored and airy and then mixed with the coffee extract and vanilla. 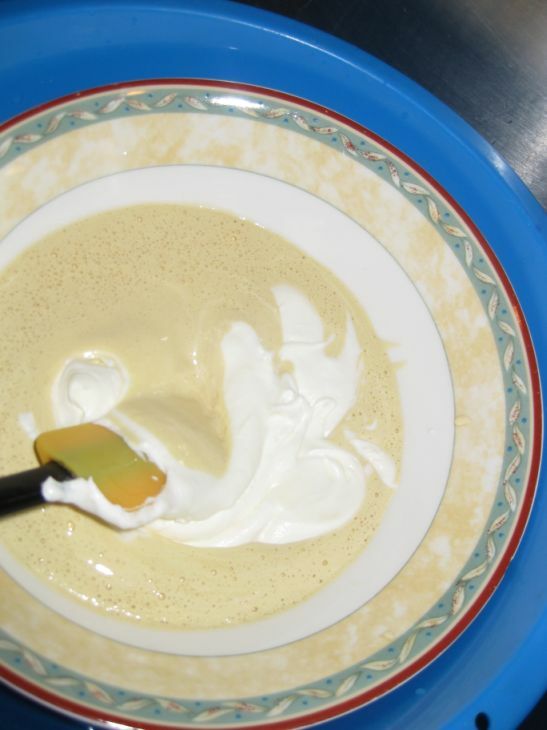 After that, it's just a matter of folding in whipped cream and whipped egg whites before spooning carefully into cups. 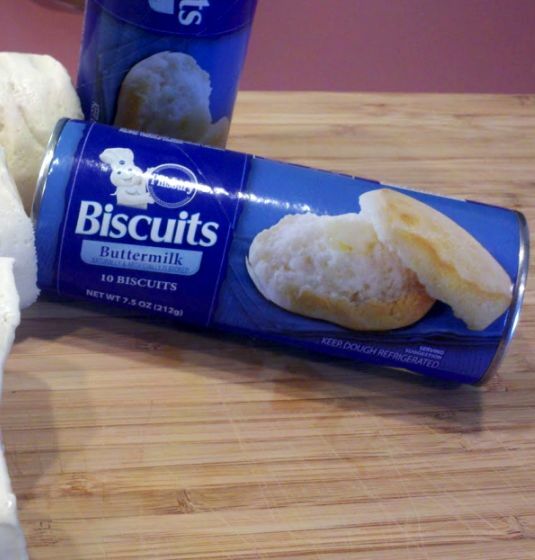 They go in the freezer for overnight and are ready to be served the next day. I made an 8 course French Laundry meal for my friend's birthday and this dessert was the last thing that was served! 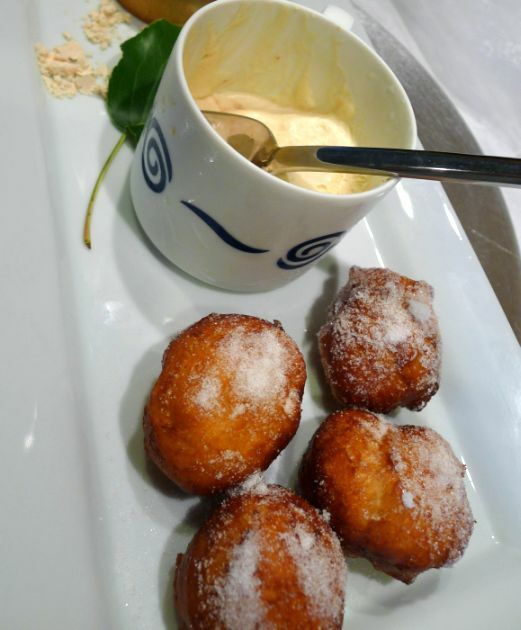 Semifreddo has the texture of frozen mousse and the doughnuts are so delicious that it is impossible to eat just a few. 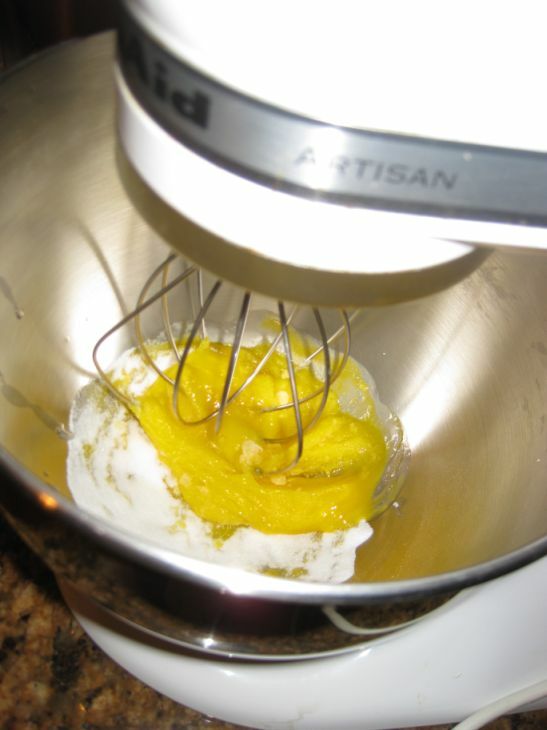 Place the egg yolks and 1/4 cup plus 2 tablespoons of a mixer with the whisk attachment. 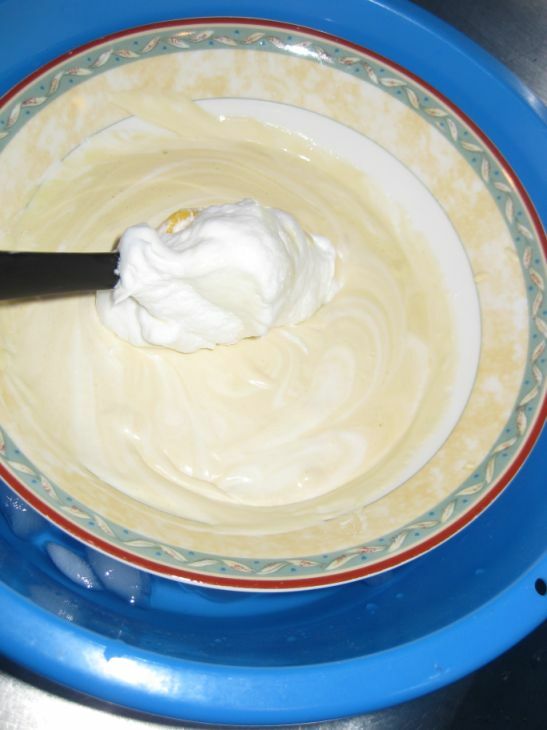 Whip for about 12 minutes at medium speed or until the mixture has lightened and triple in volume. 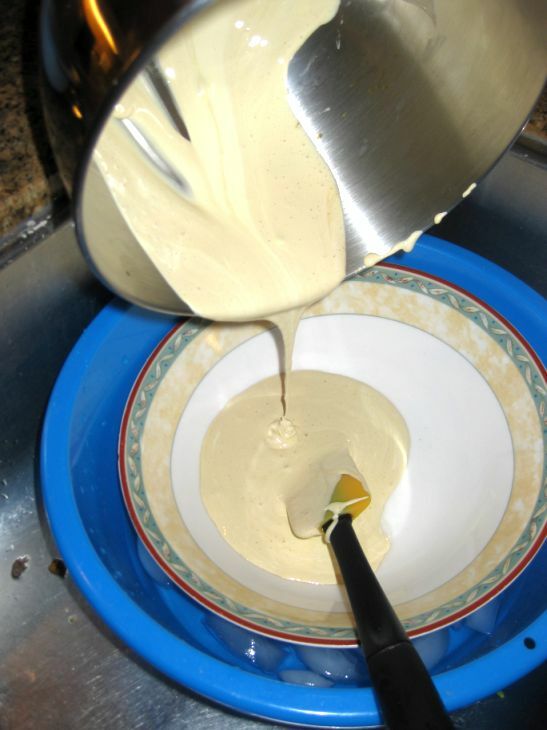 Transfer the mixture to a bowl placed in a larger bowl of ice water to maintain the consistency. 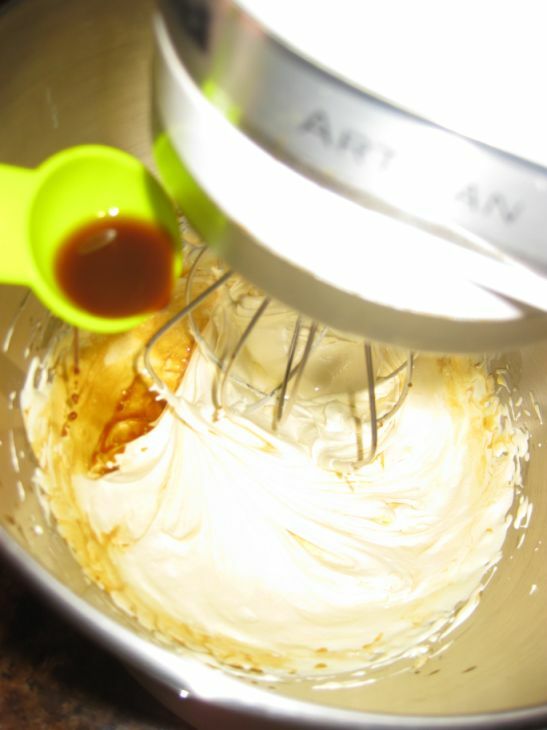 In a mixer bowl whip the heavy cream with 3 tablespoons of the sugar until it holds its shape when the whisk is lifted. 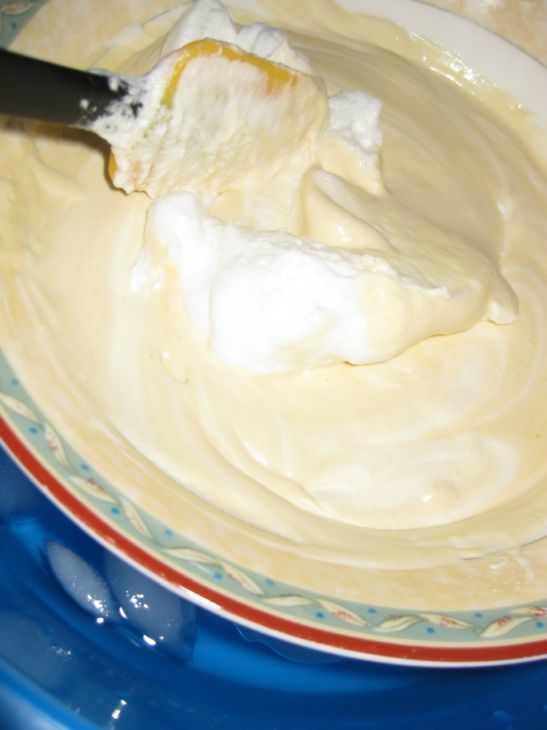 Fold the cream into the yolk mixture and return the bowl to the ice. 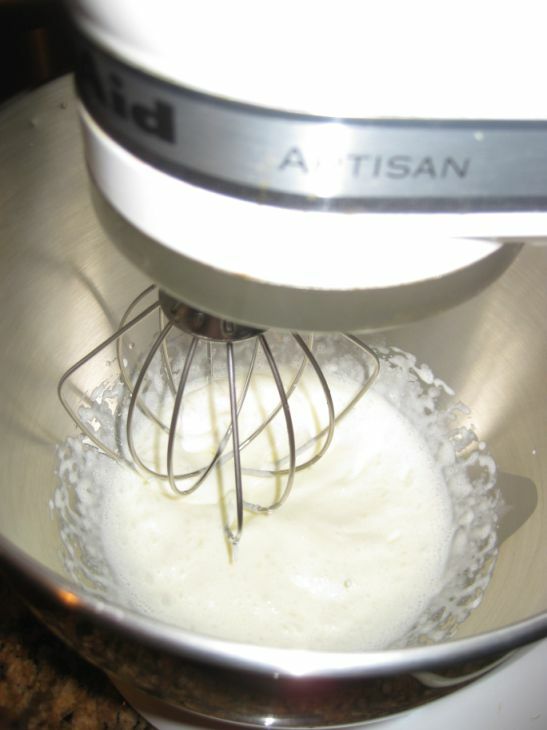 Whip the egg whites in a mixer until they are frothy. 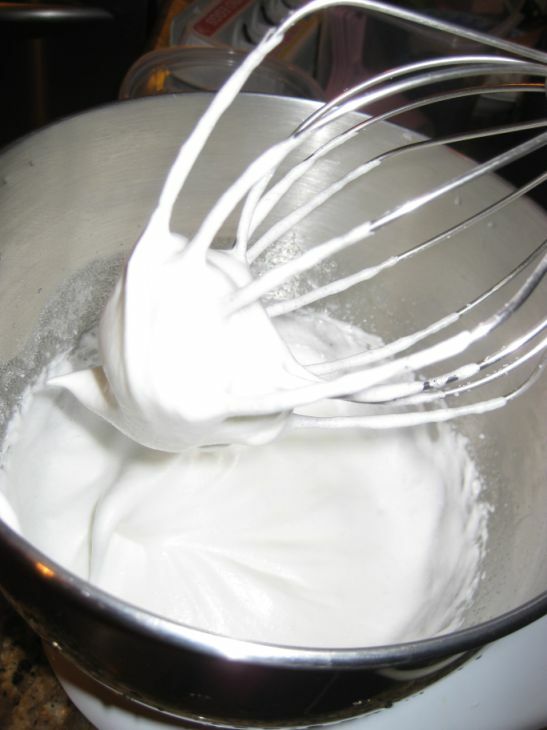 While whipping add in the remaining 3 tablespoons of sugar and whip the egg whites just until they hold soft peaks. 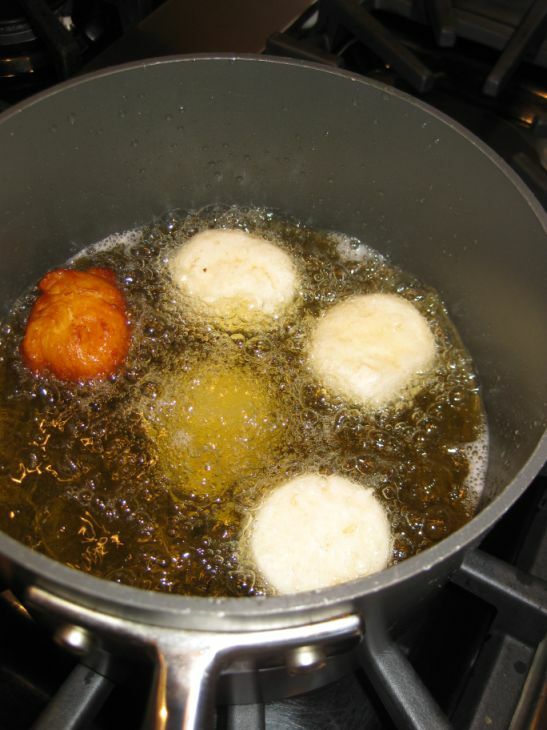 Being careful not to over whip them. Until they are completely combined. 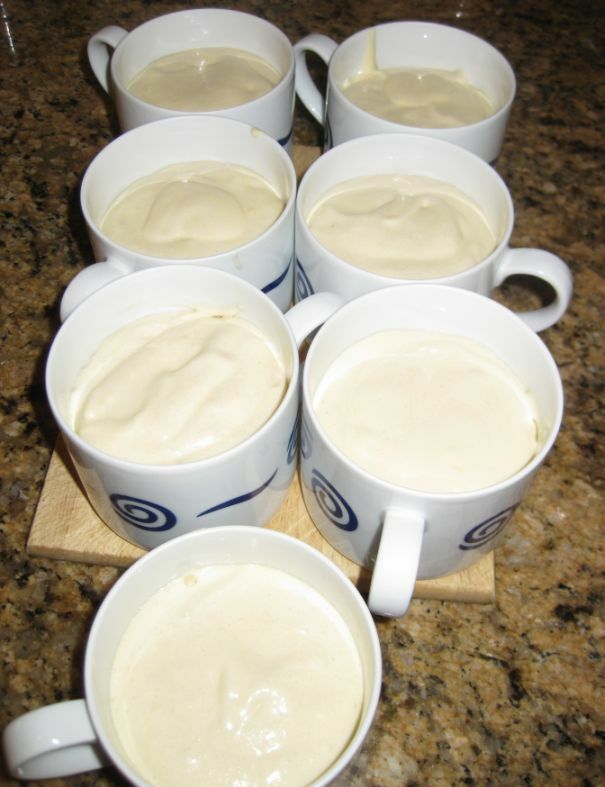 Spoon the Semifreddo into 6 to 8 coffee cups (depending on the size of the cups), leaving at least 1/2 inch or more at the top. 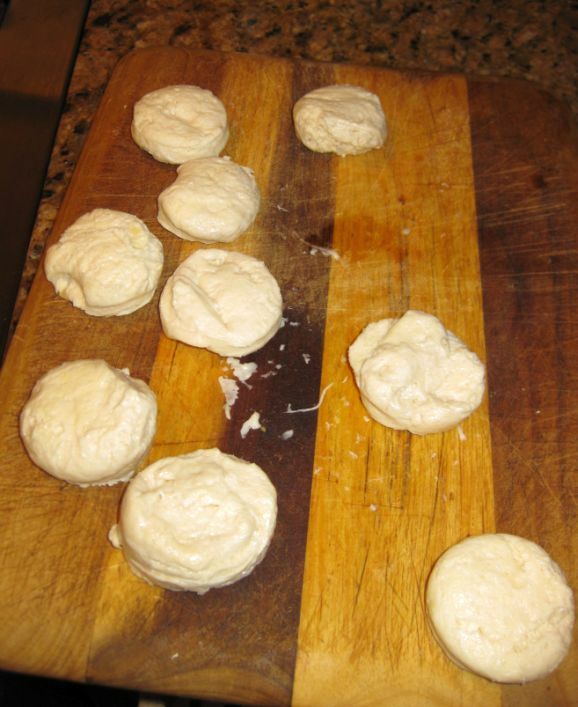 Use a round cutter an cut into small circular shape. 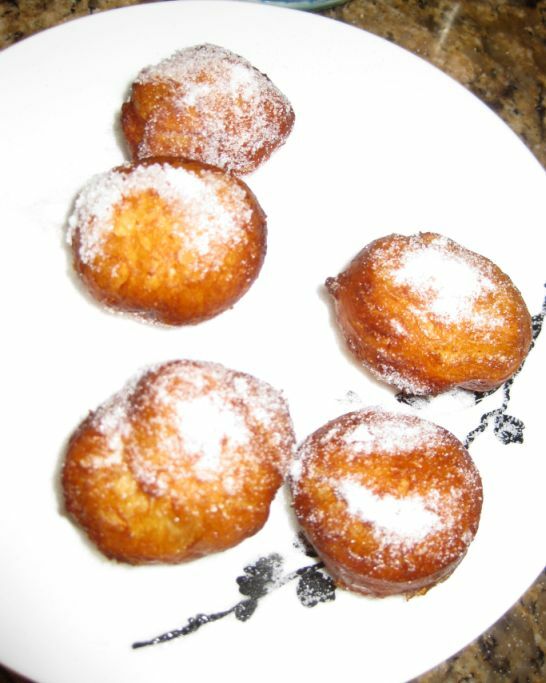 Fry the doughnuts for about 1 minute on each side. Make sure not to over crowd your pot. 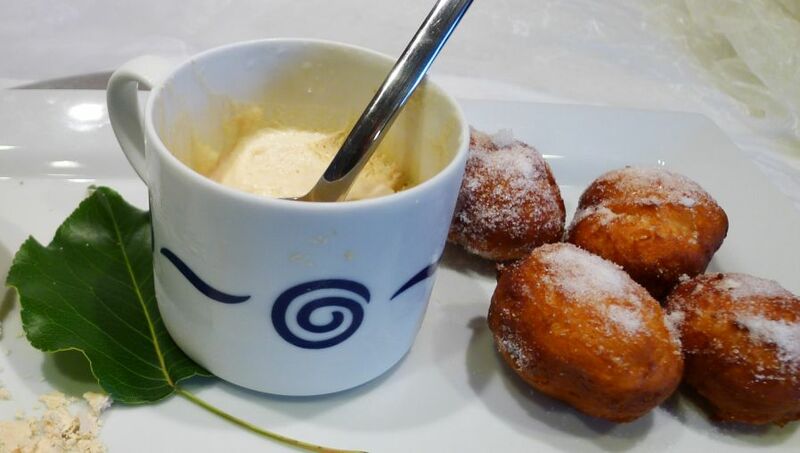 Drain the doughnuts and toss them with the cinnamon sugar. 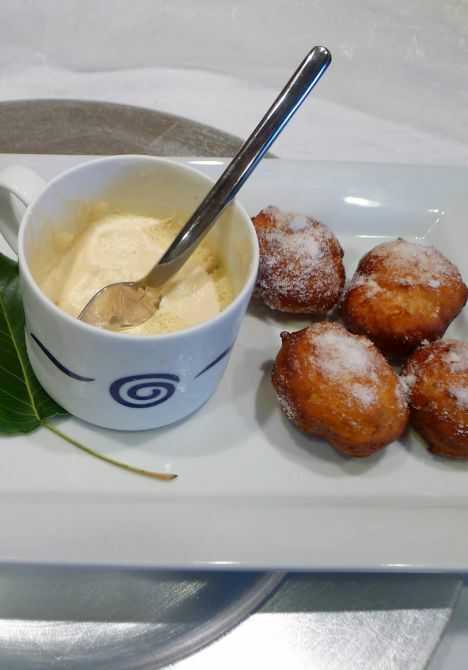 Serve the semifreddo with the hot doughnuts.